Lenovo recently introduced its all new Smartphone, named Lenovo LePhone in Chinese market.The new Lenovo LePhone Smartphone runs on Google Android 2.1 operating system.Reports reveals that the new Lenovo LePhone will be soon available in other markets also. Lenovo LePhone Smartphone equips a 3.7-inch AMOLED touchscreen display and is powered with a 1GHz Qualcomm Snapdragon processor.The LePhone includes a QWERTY keyboard and features hybrid UI and Skylight.The Lenovo LePhone comes housed with inbuilt speakers and also two cameras where the front one aids in video chatting. Tags:-Lenovo LePhone Smartphone details, Lenovo LePhone Smartphone specs, Lenovo LePhone Smartphone features, Lenovo LePhone Smartphone launch, Lenovo LePhone Smartphone release, Lenovo LePhone Smartphone availability, Lenovo LePhone Smartphone. Manufacturer BlackBerry Phones, Research In Motion recently launched their all new CDMA based Smartphone, named BlackBerry Bold 9650.The new BlackBerry Bold 9650 smartphone is comes provided with support to BlackBerry App World, BlackBerry Media Sync, BlackBerry Maps stc.. The all new BlackBerry Bold 9650 smartphone comes equipped with 2.44-inch high-resolution display with 480 x 360 pixels resolution and packs a 3.2 MP camera with flash featuring variable zoom, image stabilization, autofocus and video recording.The BlackBerry Bold 9650 handset support 3G networks ie EVDO in North America and HSPA/UMTS networks in other areas. The new BlackBerry Bold 9650 smartphone also features full-QWERTY keyboard, optical trackpad, built-in Wi-Fi (802.11 b/g) support, advanced media player, a 3.5 mm stereo headset jack, A2DP support and support for the Bluetooth Stereo Audio Profile.The Bold 9650 handset also houses 512 MB Flash memory and includes microSDHC card slot for expanding memory up to 32 GB.The BlackBerry Bold 9650 comes packs with a 2 GB card. BlackBerry Bold 9650 smartphone comes featured with features full HTML web browser, streaming audio and video via RTSP and also integrated with direct access to Facebbok, Flickr and MySpace along with BlackBerry Messenger.The smartphone is also provided with GPS support. 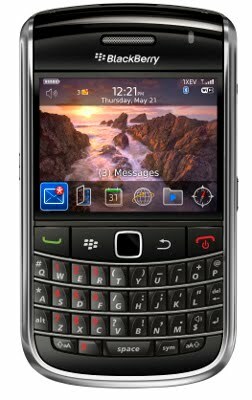 Tags:-New BlackBerry Bold 9650 Smartphone, New BlackBerry Bold 9650 Smartphone details, New BlackBerry Bold 9650 Smartphone features, New BlackBerry Bold 9650 Smartphone specs, New BlackBerry Bold 9650 Smartphone specifications, New BlackBerry Bold 9650 Smartphone launch, New BlackBerry Bold 9650 Smartphone release, New BlackBerry Bold 9650 Smartphone availability, New BlackBerry Bold 9650 Smartphone images, New BlackBerry Bold 9650 Smartphone pics, New BlackBerry Bold 9650 Smartphone india details. CyberPower recently announced the introduction of their new New Gaming Desktops that boasts new AMD Phenom II X6 6-core processor.Top Gaming Desktops that packs the new 6-core processor named as Gamer Dragon CrossFire Ultimate and the Gamer Ultra CrossFireX Pro desktops. The new AMD Phenom II X6 6-core processor comes paired with AMD's New 890FX chipset mainboards. CyberPower New Gaming Desktops that includes the new AMD Phenom II X6 CPU will be available with a starting price of $699. High-end Desktops like Gamer Dragon CrossFire Ultimate and the Gamer Ultra CrossFireX Pro desktops comes with a price tag much higher than the above price. 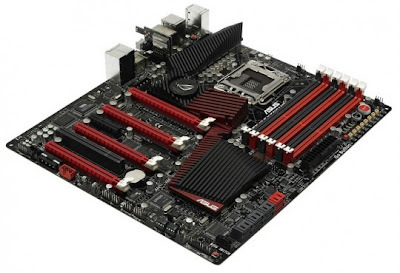 Customers can also choose mother boards from other vendors such as Asus, Gigabyte, and MSI.CyberPower also overclock the 6-core CPU for the customers b4 it is sold. Tags:-CyberPower New Gaming Desktops, CyberPower New Gaming Desktops details, CyberPower New Gaming Desktops with AMD Phenom II X6 CPU price, CyberPower New Gaming Desktops with AMD Phenom II X6 CPU features, CyberPower New Gaming Desktops with AMD Phenom II X6 CPU availability, CyberPower New Gaming Desktops with AMD Phenom II X6 CPU launch, CyberPower New Gaming Desktops with AMD Phenom II X6 CPU details. 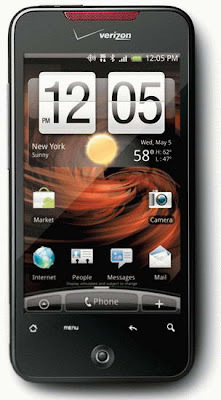 Verizon recently stared the sale of the new HTC Droid Incredible smartphone, Tne new HTC Droid Incredible handset is available with a price tag of $199.99 after giving a $100 mail-in rebate and two-year contract. Tags:-Droid Incredible, HTC, HTC Droid Incredible price, HTC Droid Incredible shipping details, HTC Droid Incredible availability, HTC Droid Incredible features, HTC Droid Incredible, HTC Incredible, now, Phone, ships, Verizon, Verizon HTC Droid Incredible. Eken, Chinese manufacturer recently launched its all new Android/WinCe based tablet, named Eken M001.The new Eken M001 tablet runs on either Google Android or Windows CE 6.0 OS.The new Eken M001 Tablet can be used as an e-book reader, media player, and mobile internet device (MID). 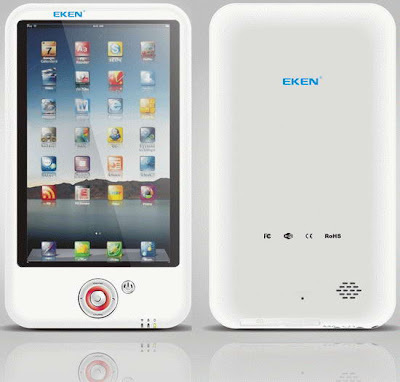 The new Eken M001 Tablet equips a 7-inch touchscreen TFT LCD display with resolution of 800×480 pixels and is powered with a 600MHz VIA MW8505 processor.The tablet includes a 128 MB of DDR2 RAM and a 2GB of internal memory.There is also a Secure Digital memory card slot for expanding memory up to 32 GB. New Eken M001 Tablet comes housed with a 1.3MP camera, 10/100 Ethernet, Wi-Fi 802.11b/g, a microphone jack, High-Fidelity stereo speaker output, and a 30 pin port for docking station.Eken M001 Tablet will be available already under different brands and is price between $140 to $150. Tags:-Android tablet, Eken M001 Tablet price, Eken M001 Tablet images, Eken M001 Tablet details, Eken M001 Tablet availability, Eken M001 Tablet specs, Eken M001 Tablet specifications, Eken tablet, Eken M001 tablet, Internet tablet, M001 tablet, WinCE tablet. Buffalo recently introduced their all new external solid state drives (SSD) (not hard drives) named Buffalo SHD-PEHU3.The all new Buffalo SHD-PEHU3 SSD features USB 3.0 Interface providing a transfer rate close to 244 MB/s with the aid of Turbo PC software. Buffalo SHD-PEH64U3-BK SSD with 64GB, Buffalo SHD-PEH128U3-BK SSD with 128GB and Buffalo SHD-PEH256U3-BK SSD with 256GB.The new USB 3.0 External SSD from Buffalo comes packed with Secure Lock Manager Easy software. Buffalo USB 3.0 External SSD weighs 66 grams and its dimensions are 97×57x12 mm.The all new Buffalo SHD-PEHU3 USB 3.0 External SSD will be available for sales in Japanese market by the end of May. Tags:-Buffalo SSD, Buffalo SHD-PEHU3 USB 3.0 External SSD, Buffalo SHD-PEHU3 USB 3.0 External SSD models, Buffalo SHD-PEHU3 USB 3.0 External SSD availability, Buffalo SHD-PEHU3 USB 3.0 External SSD details, Buffalo SHD-PEHU3 USB 3.0 External SSD features, Buffalo SHD-PEHU3 USB 3.0 External SSD specs, Buffalo SHD-PEHU3 USB 3.0 External SSD price tag, Buffalo SHD-PEHU3 USB 3.0 External SSD price details, Buffalo SHD-PEH128U3-BK, Buffalo SHD-PEH256U3-BK, Buffalo SHD-PEH64U3-BK, Buffalo SHD-PEHU3, external SSD, SSD, USB3.0 SSD. Maingear recently announced the introduction of a new Limited Edition Gaming desktop, named Maingear VYBE Limited Edition.The all new Maingear VYBE Limited Edition Desktop PC comes powered with powerful AMD Phenom II X6 processors with Turbo CORE technology.The PC comes pre-loaded with Windows 7 Home Premium OS. 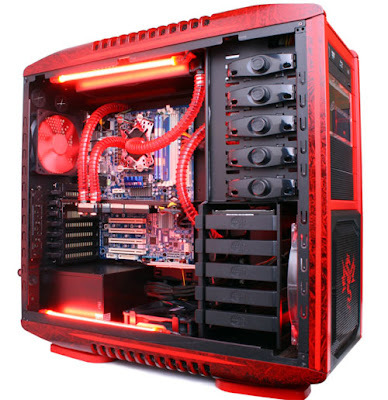 The all new Maingear VYBE Limited Edition Gaming PC includes either a 3.2 GHz AMD Phenom II X6 1090T BE processor or a 2.8 GHz AMD Phenom II X6 1055T processor and houses a Radeon HD 5670 or HD 5830 graphics accelerator providing advanced Graphics facilities.There is an option to include either a 4GB or 6GB RAM.Other features housed with the new Maingear VYBE Limited Edition Gaming Desktop includes a 640GB hard drive, a DVD burner and a 500W PSU. The Maingear VYBE Limited Edition gaming Desktop PC will be available for a price tag that starts at $999. Tags:-AMD hexacore, Maingear VYBE Limited Edition Gaming PC price, Maingear VYBE Limited Edition Gaming PC price details, Maingear VYBE Limited Edition Gaming PC features, Maingear VYBE Limited Edition Gaming PC specifications, AMD Phenom II X6, Desktop, gaming desktop, gaming PC, hexa-core, Maingear, Maingear VYBE Limited Edition, VYBE Limited Edition. 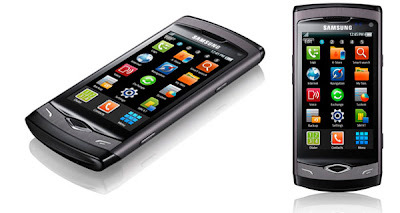 Recent information reveals that Samsung delayed the launch of its much avaited Samsung Wave handset till June 2010.Its been reported that the Samsung Wave handset will be available from this month onwards but its been delayed to june even though its been reported available in UK. The all new Samsung Wave is considered to be the first Samsung handset to came up with Samsung's Bada Operating System.The new Samsung Wave mobile phone packs a touchscreen nad is powered with 1GHz processor.The Samsung Wave comes available in two versions based on the memory capacity- 2GB and 8GB version. The new Samsung Wave mobile handset also includes a 5 megapixel camera for capturing quality pictures and also can be used to record videos at 720p resolution.The Samsung Wave handset houses a 512MB RAM and also features Bluetooth 3.0, aGPS and 802.11n Connectivity.As already said the new Samsung Wave phone runs on Bada OS with TouchWiz UI(latest version UI). 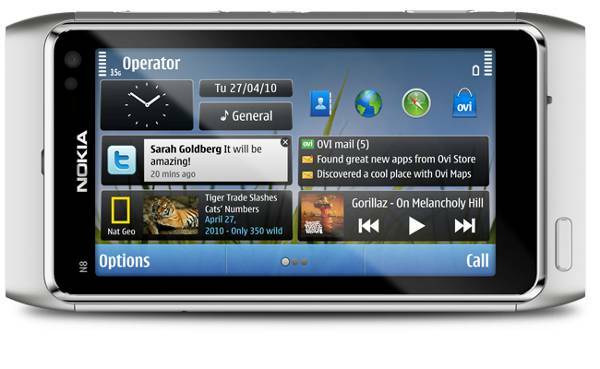 Samsung Bada OS based Wave handset is expected to be priced around $360 - $370 which is about 16,000 Indian Rupees. Tags:- Samsung Wave- Bada OS based phone, Samsung Wave- Bada OS based phone features, Samsung Wave- Bada OS based phone details, Samsung Wave- Bada OS based phone specifications, Samsung Wave- Bada OS based phone launch, Samsung Wave- Bada OS based phone price, Samsung Wave- Bada OS based phone india launch, Samsung Wave- Bada OS based phone india price. Samsung recently announced the introduction of its updated version of STORY external hard drive, named Samsung STORY Station 3.0.The new Samsung STORY Station 3.0 portable external hard drive comes with a USB 3.0 interface that has a read/write speed of almost 5 Gbps. 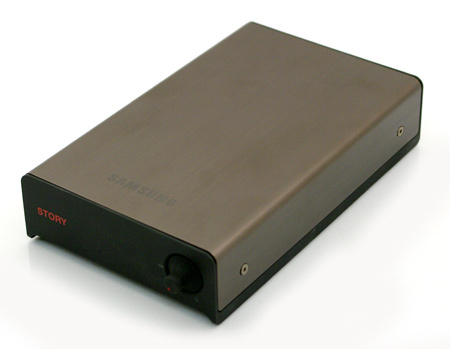 Samsung Story Station 3.0 External Hard Drive comes in a 3.5-inch form factor with aluminum casing.The Samsung Story Station 3.0 portable hard drive will be available in capcities of 1TB, 1.5TB and 2TB.The Samsung STORY Station 3.0 external HDD comes bundled with Samsung Auto Backup (schedule backup), SecretZone and SafetyKey software for data encryption and password protection features. 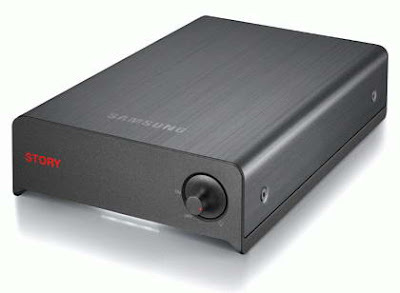 Samsung STORY Station 3.0 portable hard drive comes with a three years warranty features.The Samsung STORY Station 3.0 comes with a price tag expected to be of $154.99 for 1TB, 1.5TB priced at $194.99 and 2TB with a price tag of $269.99. 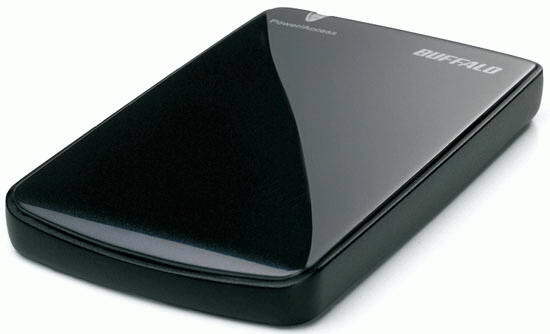 Tags:-3.5-inch external hard drive, External Hard Drive, Samsung, samsung hard drive, samsung story, samsung story station, samsung story station 3.0 features, story station, story station 3.0 details, superspeed usb 3.0 hard drive from samsung, usb 3.0 drive specs, Samsung STORY Station 3.0 portable hard drive price, Samsung STORY Station 3.0 portable hard drive price details, usb 3.0 external hard drive, usb 3.0 hard drive, usb 3.0 samsung story portable HDD. 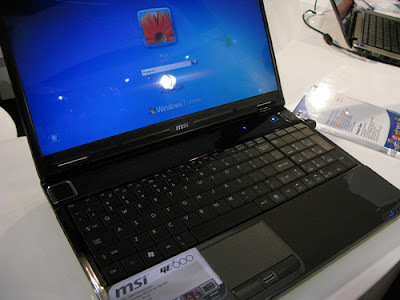 MSI started the sale of their all new gaming notebook in Us market, named MSI GE600.The notebook comes in sand-hued shade and is pre-loaded with Windows 7 Home Premium 64-bit OS. The new MSI GE600 Gaming Notebook equips a 16-inch widescreen display with resolution of 1366 x 768 pixel and is powered with a 2.26GHz Intel Core i5 430M processor.For graphics option The notebook is housed with 1GB Mobility Radeon HD 5730 graphics.The MSI GE600 Gaming Notebook also includes 4GB of DDR3 RAM and a 320GB hard drive runs at 7200rpm. 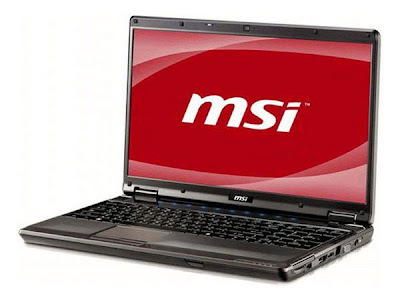 Other features of new MSI GE600 Gaming Notebook includes 802.11b/g/n Wi-Fi, Bluetooth, a 1.3MP webcam, 4-in-1 card reader, eSATA, HDMI and a DVD drive.The gaming notebook comes included with a 6-cell lithium ion battery.MSI GE600 Gaming Notebook weighs 5.90 lbs and its dimensions are 14.7×9.6×1.10-1.3 inches. The all new MSI GE600 Gaming Notebook now available with a price tag of $899.99. Tags:-16-inch gaming notebok, Gaming, gaming laptop,MSI GE600 Gaming Notebook images, MSI GE600 Gaming Notebook price, MSI GE600 Gaming Notebook price tag, MSI GE600 Gaming Notebook details, MSI GE600 Gaming Notebook availability, MSI GE600 Gaming Notebook specs, MSI GE600 Gaming Notebook features, MSI GE600 Gaming Notebook specifcation, MSI GE600 Gaming Notebook price tag, gaming notebook, GE600, MSI, MSI GE600, Notebook. Japanese company, Kyocera Communications in join hands with USA mobile operator, Boost Mobile recently outed its all new mobile handset, named Sanyo Juno.The all new Sanyo Juno affordable handset features a QWERTY keyboard and has a stylish design with great performance.The new Sanyo Juno mobile is some what similar to Sanyo SCP-2700 handset introduced last year. The all new Sanyo Juno phone equips a 2.2-inch horizontally oriented TFT display with resolution of 240×320 pixels (QVGA) and has a full QWERTY keyboard.The handset is designed to work in CDMA EV-DO 800/1900 MHz networks.Other features that comes packed with the new Sanyo Juno handset includes a 1.3MP camera, GPS, Bluetooth, and 2.5mm audio jack. The Sanyo Juno comes two shades: impulsive pink and deep blue.The all new Sanyo Juno phone is available now with a price tag worth $99.99. Tags:-Boost Mobile new handset, Juno, Sanyo Juno QWERTY Phone price, Sanyo Juno QWERTY Phone features, Sanyo Juno QWERTY Phone specs, Sanyo Juno QWERTY Phone availability, Kyocera new mobile, Phone, QWERTY phone, Sanyo, Sanyo Juno. LG Electronics on its way to introduce its all new Android phone, named LG Optimus GT540 in European market soon .The recent information from the manufacturer announced that the new LG Optimus GT540 Phone will be available from May 1st onwards. 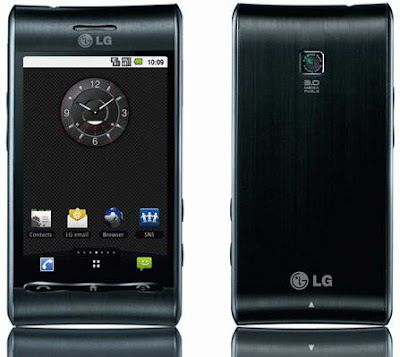 The all new LG Optimus GT540 handset made it debut in the recently held CES 2010.the new LG Optimus GT540 handset runs on Android OS and has supports for Google services including Gmail, YouTube, Google Maps and a lot more.The LG Optimus handset also comes integrated with social network sites including Facebook, Twitter etc..
LG Optimus GT540 handset comes equipped with a 3-inch touchscreen display with resolution of 320×480 pixels and includes a 3-megapixel camera capable for taking quality pictures.The new LG handset is designed to work with quad-band GSM/GPRS/EDGE 850/900/1800/1900 MHz and dual-band UMTS/HSDPA 900/2100 MHz networks. Other features comes housed with the new LG Optimus GT540 mobile phone includes Wi-Fi, Bluetooth, GPS, 3.5mm headphone jack, a microSD card which can hold a memory up to 16GB.The handset includes a 1500 mAh battery and also is packed with multimedia player which supports DivX and Xvid video playback. 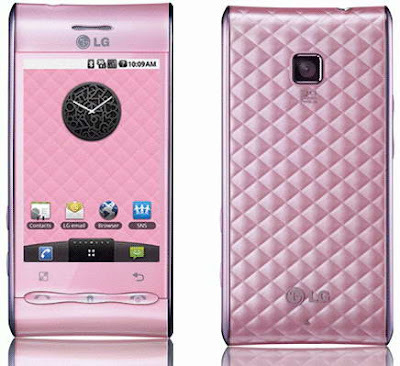 Tags:-Android, LG Optimus GT540 Android Phone, LG Optimus GT540 Android Phone details, LG Optimus GT540 Android Phone features, LG Optimus GT540 Android Phone availability, LG Optimus GT540 Android Phone launch, LG Optimus GT540 Android Phone specs, LG Optimus GT540 Android Phone specifications, GT540, LG, LG GT540, LG Optimus, LG Optimus GT540, LG phone, Phone, lg mobile phones, LG Optimus (GT540) price, LG Optimus (GT540) android smartphone, LG Optimus (GT540) smartphone price, Mobile Phones. 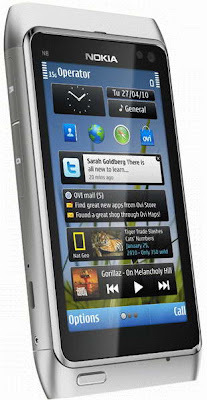 Nokia just recently made the official announcement of their much talked upcoming smartphone, named Nokia N8.The all new Nokia N8 Smartphone comes in monoblock Form factor and runs on latest edition of Symbian 3 smartphone software.Symbian 3 supports features like multitouch, flick scrolling and pinch-zoom. The all new Nokia N8 Smartphone equips a 3.5-inch capacitive OLED touchscreen display with resolution of 640×360 pixels and is powered with a 680MHz processor.The new Nokia N8 Smartphone also features face recognition and comes housed with A-GPS, FM radio, FM Transmitter, an accelerometer, HDMI, WiFi 802.11b/g/n, and an USB port. The all new Nokia N8 comes included with a 256MB RAM and 512MB ROM.The handset has an internal storage space of 16GB size.The Nokia N8 is also provided with MicroSD slot for expanding memory up to 48GB. 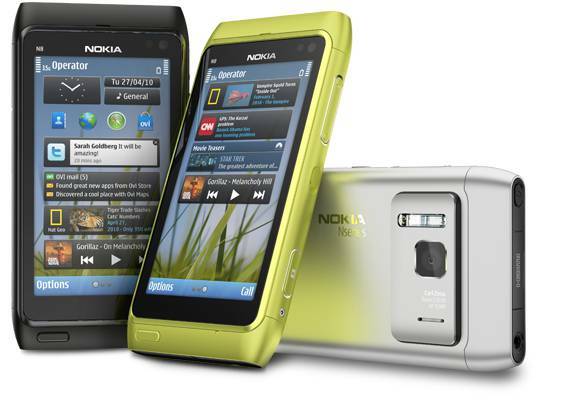 The Nokia N8 will be Nokia's first handset to hold a 12 megapixel camera with Carl Zeiss optics, Xenon flash and a large sensor similar to that in compact digital cameras.The camera has a 20x digital zoom. The N8 is also the first handset to feature HD Video recording in 720p with built-in video editing capabilities.The handset is provided with supports to Dolby Digital Plus surround sound and can be easily connected to home theatre system. Nokia N8 Smartphone supports Flash Lite 4.0 and Flash video.The handset is designed for WCDMA 850/900/1700/1900/2100 MHz and GSM/EDGE 850/900/1800/1900 MHz networks.The new Nokia N8 Smartphone includes a 1200 mAh battery that provides up to 7.7 hours of talk time in 2G and about 719 hours of life in standby mode. 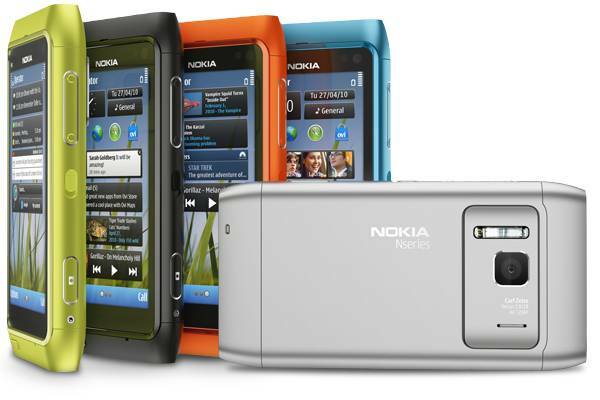 113.5×59x12.9 mm.The all new Nokia N8 Smartphone will be available in selected markets by the third quadrant of 2010 with a price tag of EUR 370 (about Rs. 22,000)-(tax not included). 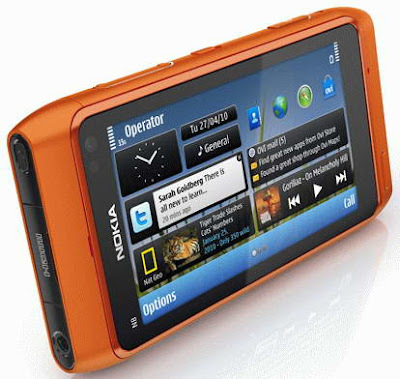 Tags:-12MP camera nokia phone, Nokia N8 Symbian 3 Mobile phone features, Nokia N8 Symbian 3 Mobile phone price, Nokia N8 Symbian 3 Mobile phone features, Nokia N8 Symbian 3 Mobile phone release, Nokia N8 Symbian 3 Mobile phone india price, Nokia N8 Symbian 3 Mobile phone india release, Nokia N8 Symbian 3 Mobile phone india availability, Nokia N8 Symbian 3 Mobile phone india launch, Nokia N8 Symbian 3 Mobile phone details, Nokia N8 Symbian 3 Mobile phone review, Nokia N8 Symbian 3 Mobile phone details specs, Nokia N8 Symbian 3 Mobile phone dtailed features, Nokia N8 pics, Nokia N8 images, Nokia N8 availability, Nokia N8 camera features, Nokia N8 memory, N8, Nokia, Nokia N8, Nokia Symbian^3, Phone, Symbian^3. 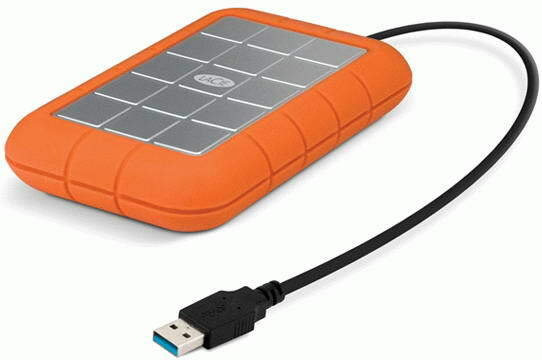 LaCie recently announced the introduction of its all new mobile hard drives, named LaCie Rugged USB 3.0.The all new LaCie Rugged USB 3.0 Portable hard disk features USB 3.0 interface that provides a data transfer rate of about 110 MB/s. 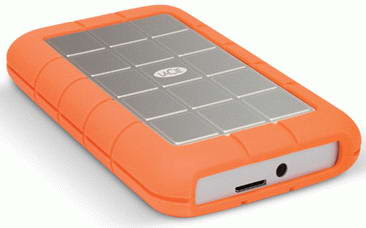 The all new LaCie Rugged USB 3.0 Portable hard disk comes in 2.5-inch form factor and is provided with shock protection features like rubber pads at its sides, anti-shock absorbers and a shock-resistant rubber bumper.LaCie Rugged USB 3.0 drive enclosed in a protective scratch-resistant aluminum casing. The award winning case is designed by Neil Poulton.LaCie also claims that the new Rugged USB 3.0 Portable hard disk drop-resistant capability from a height of about 2.2 meters.The new LaCie Rugged USB 3.0 Portable hard disk comes included with LaCie Backup Assistant and LaCie Setup Assistant, which responsible for backing up data, recovery and configuration of hard drive. The manufacturer, LaCie also provides a one-year subscription to Wuala service that provides 10GB of online storage.The portable hard disk weighs 241g and its dimensions are 90×28x145 mm. LaCie Rugged USB 3.0 portable hard disk comes available in 500GB capacity with 7200 rpm speed.The new Rugged USB 3.0 portable hard disk will be available for sale by May next month with a price tag of about $149.99. Tags:-portable external HDD, LaCie, LaCie Rugged USB 3.0 Portable Hard Disk price, LaCie Rugged USB 3.0 Portable Hard Disk features, LaCie Rugged USB 3.0 Portable Hard Disk specifications, LaCie Rugged USB 3.0 Portable Hard Disk launch, LaCie Rugged USB 3.0 Portable Hard Disk availability, LaCie Rugged USB 3.0 Portable Hard Disk price details, LaCie Rugged, LaCie Rugged USB 3.0, portable hdd, Rugged, Rugged USB 3.0 rugged hard disk, usb 3.0 hard disk, USB3.0 potable hdd. The new mobile manufacturer Micromax recently came up with a new Dual SIM handset having distinct features with a view to attracting customers .The all new Micromax X235 handset is the recent model from Micromax comes included with the distinct feature of Remote Control facility along with Dual SIM capability. According to the manufacturer Micromax, the all new Micromax X235 handset can be used as a remote for controlling electronic devices such as TV, AC, DVD player etc that have a remote. 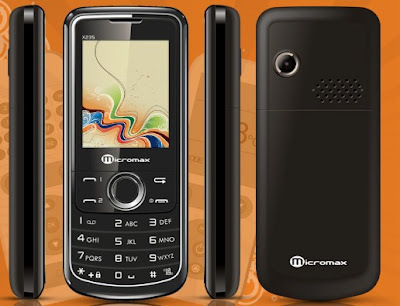 Micromax X235 mobile phone includes a infrared transceiver which is capable of sending signals to the electronic devices there by controlling them. Micromax X235 mobile phone also has Dual SIM capability like other Micromax phones that helps to support two mobile networks simultaneously.The new Micromax X235 Dual SIM phone equips a 2-inch 65k, 176x220 pixel display and houses a Camera, Music player, video player and FM radio. Other features that comes included with the new Micromax X235 Dual SIM Remote Control Phone are Bluetooth, Messaging, GPRS/WAP/MMS and a 5-way navigation key.The handset packs a Li-Ion 1050Mahbattery provides a 5 hours of talk time and almost 10 days in standby mode.The price details of the new Micromax X235 Dual SIM Remote Control Phone is not revealed yet. Tags:-Micromax X235 Dual SIM Remote Control Phone, Micromax X235 Dual SIM Remote Control Phone features, Micromax X235 Dual SIM Remote Control Phone specs, Micromax X235 Dual SIM Remote Control Phone specifications, Micromax X235 Dual SIM Remote Control Phone launch, Micromax X235 Dual SIM Remote Control Phone price, Micromax X235 Dual SIM Remote Control Phone india launch, Micromax X235 Dual SIM Remote Control Phone india availability, Micromax X235 Dual SIM Remote Control Phone india price, Micromax X235 Dual SIM Remote Control Phone details. Intel recently announced the introduction of their all new rugged convertible netbook,named Intel CTL 2go Convertible Classmate PC NL2.The all new convertable Classmate PC can be easily converted to a tablet and has rugged features including bump and scratch resistance surfaces and structures, water-resistant keyboard, touchpad and screen, and an optional anti-microbial keyboard. 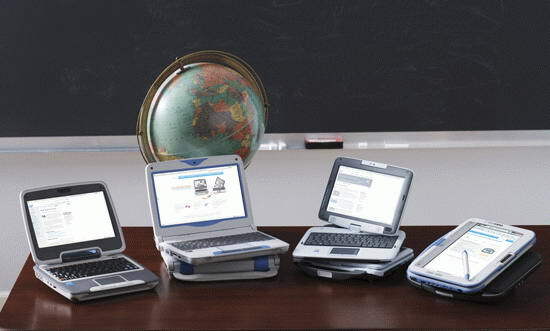 The new Rugged Convertable Classmate PC from Intel is designed mainly for educational institutions.The netbook comes bundled with eReading applications and is based on Intel Pine Trail platform. The new Intel CTL 2go Convertible Classmate PC NL2 netbook equips a a 10.1-inch resistive touchscreen display with resolution of 1024×600 pixels and is powered with a 1.66GHz Intel Atom N450 processor.The new Classmate PC also houses an integrated graphics and Intel NM10 Express chipset. Other features comes housed with the new Intel CTL 2go Convertible Classmate PC NL2 netbook includes Wi-Fi 802.11b/g/n, Bluetooth, 1GB of RAM, 160 GB hard drive, Ethernet LAN, two USB ports, VGA out for connection external display, 1.3-megapixel webcam, and 3-in-1 Card Reader.The optional availabilities includes 3G, GPS, WiMAX, 16GB/32GB SSD.The netbook battery provides about 6 hours of back-up life. Tags:-10.1-inch netbook, Classmate PC, Intel New Rugged Convertable Classmate PC details, Intel New Rugged Convertable Classmate PC features, Intel New Rugged Convertable Classmate PC specifications, Intel New Rugged Convertable Classmate PC details, Intel New Rugged Convertable Classmate PC availability, Intel New Rugged Convertable Classmate PC launch, Classmate PC 4G, intel netbook, Intel CTL 2go Convertible Classmate PC NL2, netbook. Asus on its way to introduced its all new dual-core Atom-equipped netbook, named Asus Eee PC 1215N Netbook in market soon.Recent information reveals that the new Asus Eee PC 1215N Netbook will be available for sale by June 2010. The all new upcoming Asus Eee PC 1215N Netbook equips a 12.1-inch display with resolution of 1366×768 pixel and will boasts dual-core Atom N500 CPU, the GMA 3150 IGP, and an Nvidia NG-ION GPU.The new Asus Eee PC 1215N Netbook will also features Optimus technology, that enables the automatic switching between integrated Intel graphics and NVIDIA’s dedicated Ion chipset based on CPU usage there by reducing power consumption. The new Asus Eee PC 1215N Netbook will be available pre-installed with Windows 7 OS and houses either 1GB or 2GB RAM module.Asus Eee PC 1215N Netbook will be available with an expected price tag of about 400 Euro. 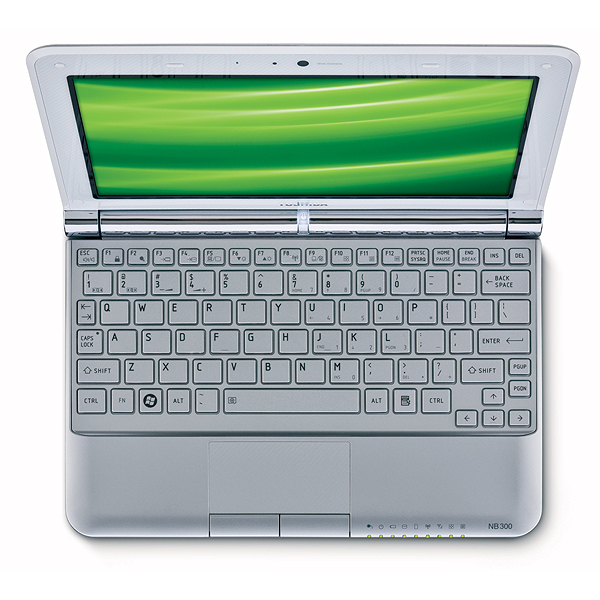 Tags:-1215N, ASUS, Asus Eee PC 1215N Netbook price, Asus Eee PC 1215N Netbook features, Asus Eee PC 1215N Netbook specifications, Asus Eee PC 1215N Netbook launch, Asus Eee PC 1215N Netbook details, Asus Eee PC 1215N Netbook release, ASUS 1201PN, Asus 1215N, Asus Eee PC, ASUS Eee PC 1201PN, Asus Eee PC 1215N, Eee PC 1215N, netbook, Optimus technology. 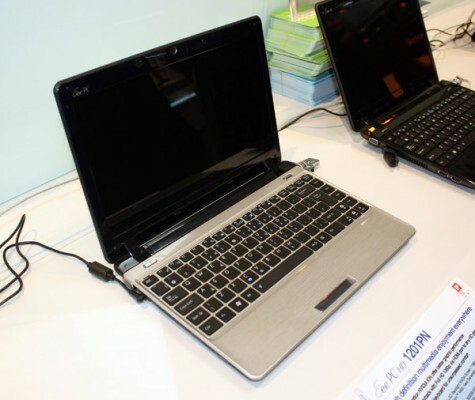 Toshiba recently outed the information about its all new Netbook, named Toshiba NB305(Toshiba NB305-10F). 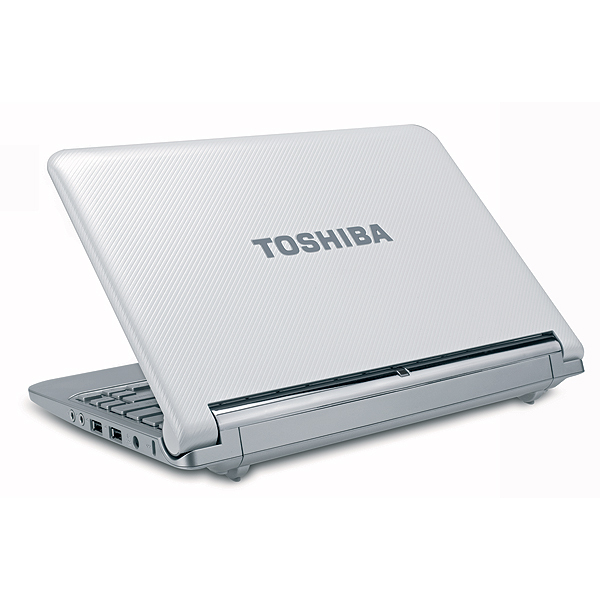 According to the provided information Toshiba NB305 Netbook features an Atom processor and DDR3 memory module.The new Toshiba NB305 Netbook comes pre-loaded with Windows 7 Basic 32bit OS and is available in brown shade with silver shaded keyboard. The all new Toshiba NB305 Netbook packs a 10.1-inch LED backlight display with resolution of 1024×600 pixel (WSVGA) and is powered with a 1.66GHz Intel Atom N450 CPU.As graphics option the Toshiba NB305 Netbook houses an Intel GMA 3150 graphics card.The new Toshiba netbook also comes available with a 1GB DDR3 RAM at 1066MHz and a 250GB hard drive for data storage. Other features comes provided with Toshiba NB305 Netbook includes Bluetooth, Wi-Fi 802.11b/g/n, multitouch support touchpad, VGA Web Camera, VGA port, Ethernet RJ-45, two USB 2.0 ports, and a 2-in-1 memory card reader.The notebook weighs 1.33 kg and its dimensions are 266×192.3×24.2-36.4 mm. 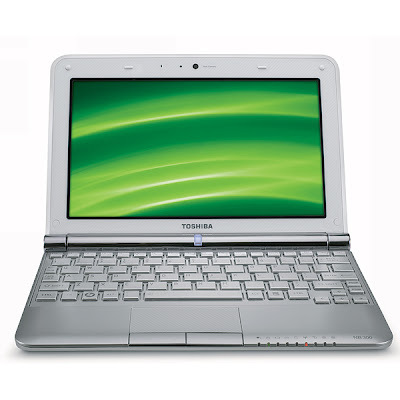 Toshiba NB305 Netbook available with a price tag of $399.99. Tags:-10.1-inch notebook, Toshiba NB305 Netbook features, Toshiba NB305 Netbook details, Toshiba NB305 Netbook availability, Toshiba NB305 Netbook specifications, Toshiba NB305 Netbook specs, Toshiba NB305 Netbook launch, Atom N455 notebook, DDR3 support toshiba notebook, toshiba NB305, toshiba NB305-10F, netbook, toshiba, Toshiba NB305, Toshiba NB305-10F. 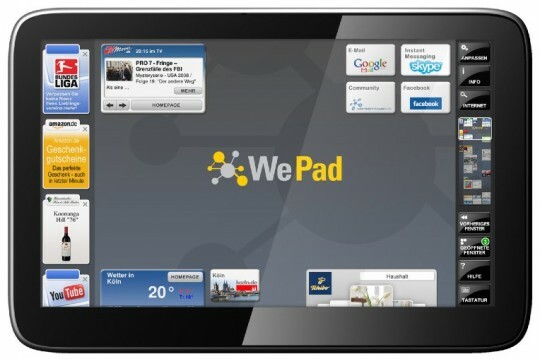 Amazon Germany recently made available the details of the new 16GB and 32GB models of WePad in its product page.According to the provided information the new 16GB WePad is availble at an expected price tag of €449 ($598) where as the 32GB WePad with a price tag of €569 ($757). Both 16GB and 32GB WePad equips a 11.6-inch touchscreen and is powered with an Intel Atom N450 CPU.WePad also includes GMA 3150 graphics card and features WiFi and Bluetooth 2.1+EDR.The 32GB Wepad also is provided with 3G features. The provided information does not reveals details about the shipping date but its being expected that the new WePad models will be available by July.No words about the availability in other European countries is made yet. 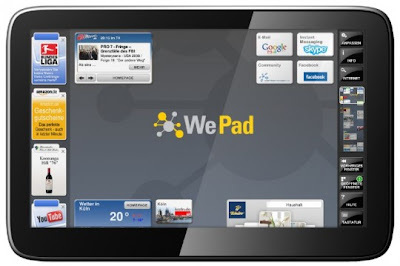 Tags:-WePad, WePad preorder, WePad preorder details, WePad preorder availability, WePad preorder at Amazon Germany, Amazon Germany WePad price, WePad price at Amazon, WePad price at Amazon Germany, WePad price at Amazon Germany details. Lenovo recently made the availability of its all new ThinkPad Edge Series notebooks in Russian market.The new notebooks with 14-inch and 15.6-inch display aims mainly at business customers. The all new Lenovo ThinkPad Edge Series notebooks equips 14-inch and 15.6-inch display with 1366×768 pixels resolution and is boasts with Intel's powerful processors that includes either Core i7-620M, Core i5-540M, Core i5-430M, Core i3-330M, Core i3-350M or Celeron P4500 processor where the user could select accordingly.The new Lenovo ThinkPad Edge Series notebooks comes included either with an ATI Radeon HD4570 discrete graphics with 512MB of VRAM or with an integrated Intel GMA 4500MHD graphics card. 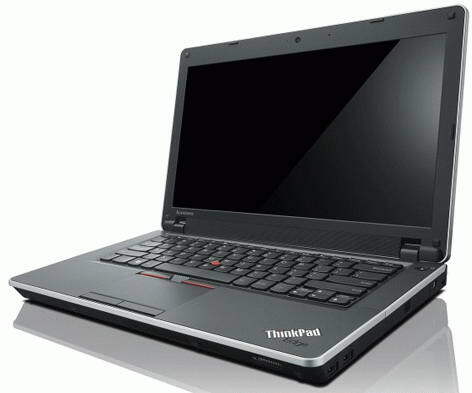 Both the new ThinkPad Edge Notebooks includes either 4-cell, 6-cell or 9-cell battery.The new Lenovo ThinkPad Edge notebook will be available for sales in Russian market by May 2010 with a price tag that starts at 22,000 rubles. Tags:-14-inch lenovo notebok, 15.6-inch lenovo notebook, Lenovo ThinkPad Edge Series notebooks price, Lenovo ThinkPad Edge Series notebooks features, Lenovo ThinkPad Edge Series notebooks specifications, Lenovo ThinkPad Edge Series notebooks launch, Lenovo ThinkPad Edge Series notebooks release, Lenovo ThinkPad Edge Series notebooks price, Lenovo ThinkPad Edge Series notebooks price details, EDGE lenovo notebook, lenovo, Lenovo Edge, Lenovo ThinkPad, Lenovo ThinkPad Edge, Notebook, Russia, ThinkPad Edge notebook. Acer recently announced the introduction of their all new low power consumption LCD Display, named Acer V193Bwmd. The all new Acer V193Bwmd LCD Low-Power Consumption display will be available for sales by the middle of May with a price tag of 20,000 yen(about $212). Acer V193Bwmd LCD monitor packs a 19-inch display with a maximum resolution of 1280×1024 pixel (SXGA) with support for 16.7 million colors.The new 19-inch LCD monitor from Acer has a 36% power consumption reduction rate when compared to other dispalys of same size.Other features of Acer V193Bwmd LCD display includes 250cd/m2 brightness, 5ms response time, 800:1 contrast ratio (10000:1 dynamic contrast ratio), and 160 degrees vertical viewing angle. 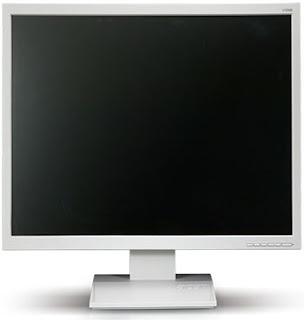 The new Acer V193Bwmd LCD monitor also comes housed with DVI-D (HDCP supported), D-Sub, 2×1W speakers.The Low-Powered LCD Display from Acer weighs 4kg and its dimensions are 408×181x406 mm (WxDxH). Tags:-19-inch LCD display, Acer V193Bwmd 19-inch Low-Powered LCD Display specs, Acer V193Bwmd 19-inch Low-Powered LCD Display features, Acer V193Bwmd 19-inch Low-Powered LCD Display price, Acer V193Bwmd 19-inch Low-Powered LCD Display price details, Acer V193Bwmd 19-inch Low-Powered LCD Display launch, acer LCD display, Acer V193Bwmd, LCD, Acer Low-Power Consumption display, Acer monitor, V193Bwmd LCd display. 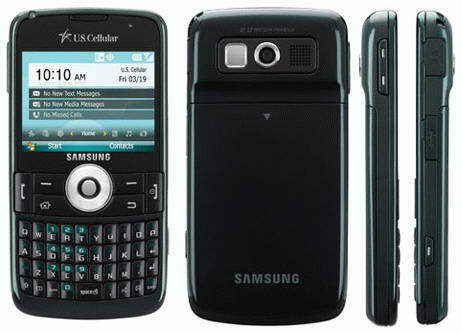 Samsung recently made the availability of its all new Samsung Exec SCH-i225 QWERTY mobile phone via U.S. Cellular mobile operator.The all new Samsung Exec SCH-i225 mobile phone comes in a slim design with candybar form factor and runs on Windows Mobile 6.5 Standard OS. 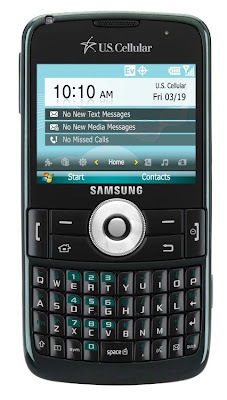 The Samsung Exec SCH-i225 handset equips a 2.4-inch TFT horizontally oriented display with resolution of 240×320 pixels.The new Samsung Exec mobile phones comes integrated with social networking sites including Facebook, Twitter, MySpace and Flickr.The handset is designed to work in CDMA EV-DO network. 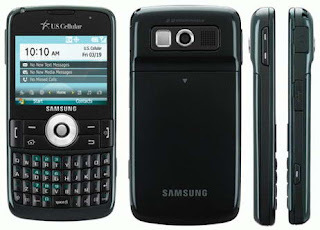 The all new Samsung Exec SCH-i225 QWERTY handset houses a 2-megapixel camera with video recording and features GPS, Bluetooth and a microSDHC card slot that could support up to 32GB memory card.The dimension of Samsung Exec SCH-i225 handset are 4.61×2.36×0.45 inches. The Samsung Exec SCH-i225 mobile handset is available for a price tag of $300 without contract or with a price of $100 with a two-year contract. Tags:-candybar phone, Phone, Samsung, Samsung Exec SCH-i225 QWERTY mobile phone price, Samsung Exec SCH-i225 QWERTY mobile phone features, Samsung Exec SCH-i225 QWERTY mobile phone specifications, Samsung Exec SCH-i225 QWERTY mobile phone details, Samsung Exec SCH-i225 QWERTY mobile phone availability, Samsung Exec SCH-i225 QWERTY mobile phone launch, Samsung Exec SCH-i225 QWERTY mobile phone release, Samsung Exec, Samsung Exec SCH-i225, Samsung SCH-i225, Samsung SCH-i225 Exec, Slim QWERTY Samsung phone. 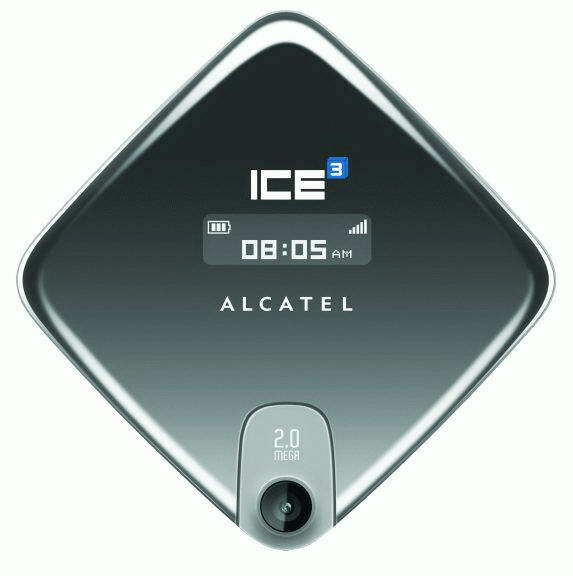 Alcatel ICE3 handset comes with stylish design and has a clamshell form factor. 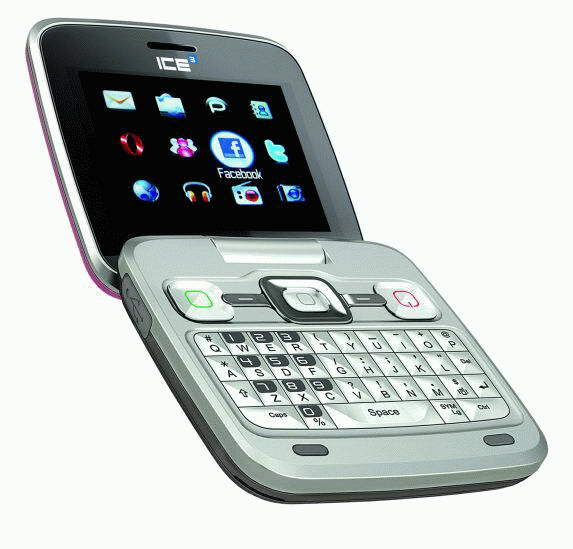 New Alcatel ICE3 Flip Phone equips a a QWERTY keyboard, 2.4-inch TFT display with a resolution of 240×320 pixels (QVGA) and support 65,000 colors.The new Flip handset also packs an external 1.1-inch OLED display with resolution of 128×36 pixel.The Alcatel ICE3 handset is designed to work in GSM/GPRS/EDGE networks. 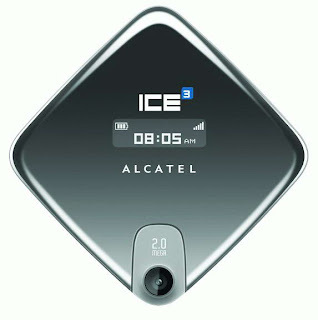 Other features equipped with Alcatel ICE3 mobile phone includes 2-megapixel camera with video recording, WAP 2.0, Bluetooth 2.0 with A2DP, music player, USB 2.0 high speed and an FM tuner.The ICE3 flip handset comes included with an internal memory of 80MB and the handset supports up to 8GB memory card in its microSD card slot. Alcatel ICE3 Flip handset is provided with a 850 mAh Lithium Ion Battery capable of providing almost nine hours of life in talk time mode and up to 450 hours in standby mode.The all new Alcatel ICE3 QWERTY Flip Phone is available through ICE Mobile network systems in India with a price tag of Rs.7000 (about $140). Tags:-Alcatel, Alcatel ICE3 QWERTY Flip Phone features, Alcatel ICE3 QWERTY Flip Phone india price, Alcatel ICE3 QWERTY Flip Phone price details, Alcatel ICE3 QWERTY Flip Phone specifications, Alcatel ICE3 QWERTY Flip Phone india launch, Alcatel ICE3 QWERTY Flip Phone india availability, Alcatel ICE3 QWERTY Flip Phone release in india, Alcatel ICE3 QWERTY Flip Phone price in india, new Alcatel ICE3 QWERTY Flip Phone details, Alcatel ICE3, Clamshell Phone, ICE Mobile, ICE3, India, Phone, QWERTY Flip Phone, QWERTY phone, TCT Mobile. 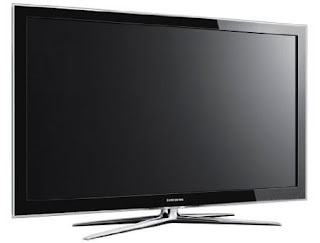 Samsung recently made the availability of its new 3D LCD HDTV, named Samsung LN46C750.The all new Samsung LN46C750 3D LCD HDTV belongs to the Samsung 750 Series LCD Displays. The Samsung LN46C750 3D LCD HDTV equips a 46-inch screen size and comes featured with 200000:1 contrast ratio, 240Hz refresh rate, Wide Color Enhancer, 3D HyperReal Engine, Touch of Color design, and Picture-in-Picture.The 3D LCD HDTV from Samsung packs a 2×10W audio output. New Samsung LN46C750 3D LCD HDTV is provuded with supports for Internet TV, Skype on Samsung TV and AllShare that allows stream media content from your network.The 3D LCD HDTV also has capability for playing contents from a USB drive.The new Samsung LN46C750 3D LCD HDTV weighs 56 pounds and its dimensions are 29.3×54.1×12 inches. The all new Samsung LN46C750 46-inch 3D LCD HDTV now available via Amazon.com with a price tag of $1699.99. Tags:-3D Full HDTV, 46-inch Samsung 3D HDTV, Samsung LN46C750 3D LCD HDTV Details, Samsung LN46C750 3D LCD HDTV Features, Samsung LN46C750 3D LCD HDTV specifications, Samsung LN46C750 3D LCD HDTV availability, Samsung LN46C750 3D LCD HDTV launch, Samsung LN46C750 3D LCD HDTV Specs, Samsung LN46C750 3D LCD HDTV Detailed specs, Samsung LN46C750 3D LCD HDTV price, Samsung LN46C750 3D LCD HDTV price details, HDTV from Samsung, New Samsung LCD TV, LN46C750 HDTV, Samsung, Samsung LN46C750, TV. 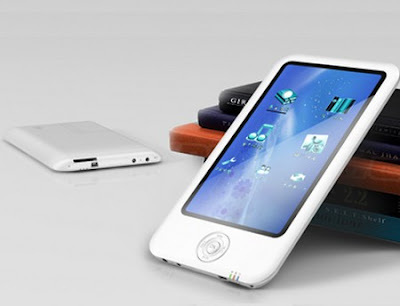 Velocity Micro is on its way to bring its all new tablet, named Velocity Micro Cruz.The all new Velocity Micro Cruz tablet runs on Google Android 2.1 OS.Micro Cruz tablet is also expected to came up with access to online service of Cruz Market, that provides applications, games, and e-books. The new Velocity Micro Cruz Android Tablet equips a 7-inch touchscreen display and boasts an 800MHz processor.The tablet features Adobe Flash Player 10.1 support and also has support for SD memory card.More details about the new Micro Cruz tablet are not revealed yet. According to the available information the new Velocity Micro Cruz tablet will be available in markets by the third quadrant with a price tag around $300. 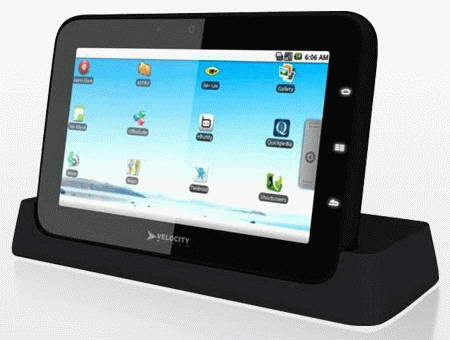 Tags:-Adobe Flash tablet, Velocity Micro Cruz Android Tablet price, Velocity Micro Cruz Android Tablet fetures, Velocity Micro Cruz Android Tablet Specs, Velocity Micro Cruz Android Tablet details, Velocity Micro Cruz Android Tablet launch, Velocity Micro Cruz Android Tablet availability, android 2.1 tablet, Cruz tablet, velocity tablet, Velocity Micro, Velocity micro, Micro Cruz. After the success of Bluetooth 3.0 Bluetooth Special Interest Group (SIG) now on its way to introduced the Bluetooth 4.0 that features low energy technology and has improved potential range.The new Bluetooth 4.0 has a theoretical range support of more than 200 feet where as the available Bluetooth 3.0 offers only up to 30 feet or 10m range. Bluetooth v4.0 is like three specifications in one – Classic Bluetooth technology, Bluetooth low energy technology, and Bluetooth High Speed technology– all which can be combined or used separately in different devices according to their functionality. Bluetooth v4.0 enabled devices are expected to hit market by the end of 2010 or by early 2011. Tags:-Bluetooth 4.0 details, Bluetooth 4.0 updates, Bluetooth 4.0 launch, Bluetooth 4.0 range, Bluetooth 4.0 availability, Bluetooth 4.0 market launch, Bluetooth 4.0 features. Panasonic recently brought to sales their all new TT-CC10W Skype webcam for HDTVs.The new lengthy TT-CC10W Skype webcam can be used with select Viera models that are capable of bringing 720p HD video and active noise cancellation audio to the sets for straightforward video conversations. Panasonic TT-CC10W Skype webcam uses a USB 2.0 Interface for connection.When connected the webcam adds an new Skype option to the HDTV’s on-screen menus.new contacts can be added directly from the UI.The new Panasonic TT-CC10W Skype webcam will be available for sales by June 11th with an expected price tag of 18,000 yen ($194). Tags:-Panasonic TT-CC10W Skype webcam details, Panasonic TT-CC10W Skype webcam price, Panasonic TT-CC10W Skype webcam features, Panasonic TT-CC10W Skype webcam availability, Panasonic TT-CC10W Skype webcam launch, Panasonic TT-CC10W Skype webcam specs, Panasonic TT-CC10W Skype webcam for hdtv,HDTV webcams, webcams for HDTV, HDTV webcam details, HDTV webcam availability. 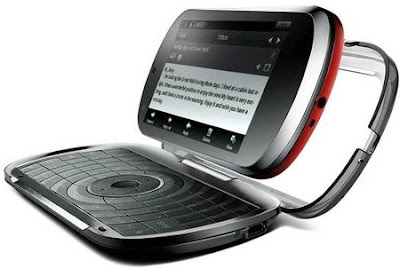 Dell Streak(Dell Mini 5).Dell Streak tablet runs on Google Android 2.1.The new Dell Streak tablet is expected to be available by the month of August or September. The all new Dell Streak tablet comes equipped with 5-inch TFT LCD display with a resolution of 800×480 pixels (WVGA) and has multitouch capabilities.The ultra-portable tablet from Dell is powered with Qualcomm Snapdragon QSD 8250 processor and includes a 5 megapixel autofocus camera and a VGA front facing camera for video chating.Dell Streak tablet also packs a 256MB RAM and 512 MB flash memory. 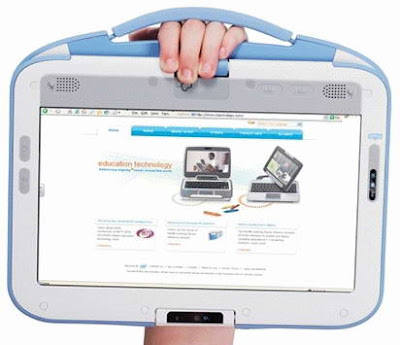 Dell Streak tablet also comes housed with Wi-Fi 802.11b/g and Bluetooth 2.1+EDR connectivity, USB2.0 interface , 3G module for connecting to mobile networks, GPS, e-compass, a ambient light sensor, a microSD card slot and accelerometer. The new Dell Streak tablet is designed to work with UMTS/HSDPA/HSUPA 850/1900/2100 MHz and GSM/EDGE 850/900/1800/1900 MHz network.The tablet is provided with a a 1530 mAh battery.The Dell tablet weighs 220g and its dimensions are 153×80x10 mm.The Dell Streak tablet probably hit markets by the 3rd quadant of 2010. Tags:-Dell, Dell Mini 5, Dell Streak tablet features, Dell Streak tablet specifications, Dell Streak tablet launch, Dell Streak tablet availability, Dell Streak tablet details, Dell Streak tablet detailed specs, Dell Streak, Internet tablet, Specs, Streak, Dell tablet. Origin computers recently made the availability of their all new gaming motherboard, named Asus Rampage III Extreme.The new Asus Rampage III Extreme motherboard is able to provide support to high-end CPUs like the i7-980X extreme.The new motherboard can also support both 3-way SLI from NVIDIA and CrossFireX from ATI. Origin Genesis desktop is the first desktop PC to come up with the new Asus Rampage III Extreme motherboard.The new Asus Rampage III Extreme motherboard has overclocking features, USB 3.0 ports, and SATA III connectivity. The all new Origin Genesis desktop that packs Asus Rampage III Extreme mainboard is available now with a price tag that starts at $1,999. 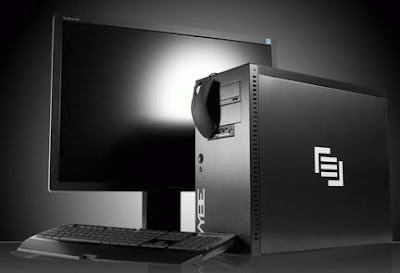 Tags:-Origin Genesis desktop, Origin Genesis desktop price, Origin Genesis desktop features, Asus Rampage III Extreme mainboard details, Asus Rampage III Extreme mainboard specs, Asus Rampage III Extreme mainboard features, Asus Rampage III Extreme mainboard availability. BenQ on its way to introduce its all new G Series LCD Displays, named BenQ G2025HD and BenQ G2025HDA.Both BenQ G2025HD and BenQ G2025HDA displays features Senseye+PhotoImage Technology, that enhances the picture quality.The new G Series LCD Displays are expected to hit world markets by the first phase of May 2010. 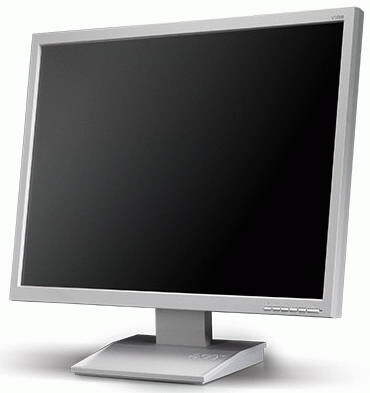 Both BenQ G2025HD and BenQ G2025HDA Displays features 20-inch display with a maximum resolution of 1600×900 pixels that provides 16:9 Full HD/HD viewing.Other features includes 250 cd/m2 brightness, 40000:1 Dynamic Contrast ratio and 5 ms response time. 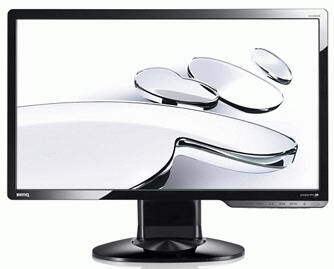 The new BenQ G2025HD display includes D-Sub and DVI-D where as the BenQ G2025HDA LCD display packs only D-Sub.The Senseye+PhotoImage Technology of the new BenQ G2025HD and G2025HDA LCD Display provides five pre-set modes: Standard, Dynamic, Photo, Movie, and NSTL-certified sRGB preset modes. Tags:-BenQ G2025HD, new BenQ G Series LCD Display, BenQ G2025HD and BenQ G2025HDA LCD displays features, BenQ G2025HD and BenQ G2025HDA LCD displays details, BenQ G2025HD and BenQ G2025HDA LCD displays launch, BenQ G2025HD and BenQ G2025HDA LCD displays availability, BenQ G2025HD and BenQ G2025HDA LCD displays specs, BenQ G2025HD/A, G-Series displays, LCD Display, LCD monitor. 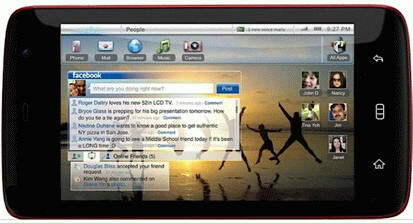 Dell recently unveils the details of its upcoming tablet, named Dell Looking Glass tablet.The new Dell Looking Glass tablet features low power consumption, multitasking and has lot of graphics facilities including flash support.Dell Looking Glass Android tablet runs on Android 2.1 Eclair OS. The all new Dell Looking Glass Android tablet equips a 7-inch TFT display with resolution of 480×800 pixels (WVGA) with multi-touch features and is powered with a Tegra 2 (T20) processor.Dell Looking Glass Tablet includes a 4 GB RAM and has 4GB of flash for storage. Other features included with Dell Looking Glass Android tablet contains a memory card slot (MMC/SD/SDHC) with capacities of up to 32 GB, Bluetooth 3.0, Wi-Fi 802.11b/g/n, G-sensor, e-compass, GPS with A-GPS, 1.3MP webcam and a 2100 mAh battery.The optional availabilities includes 3G 3G HSPA and TV tuner (ATSC/ATSC-MH/DVB-T). 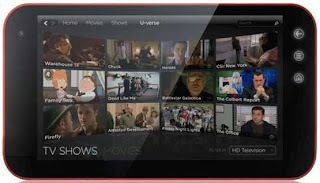 The new Dell Looking Glass Android tablet is suitable for web browsing, watch movie/multimedia, and gaming.The tablet weighs 500g and its dimensions are 198×130x12.75 mm.Dell Looking Glass Android tablet is expected available by November 2010.The price details are not revealed yet.. Tags:-Dell, Dell Looking Glass, Dell Looking Glass Android tablet features, Dell Looking Glass Android tablet details, Dell Looking Glass Android tablet specs, Dell Looking Glass Android tablet specifications, Dell Looking Glass Android tablet availability, Internet tablet, Looking Glass tablet, tablet, Tegra 2 tablets. 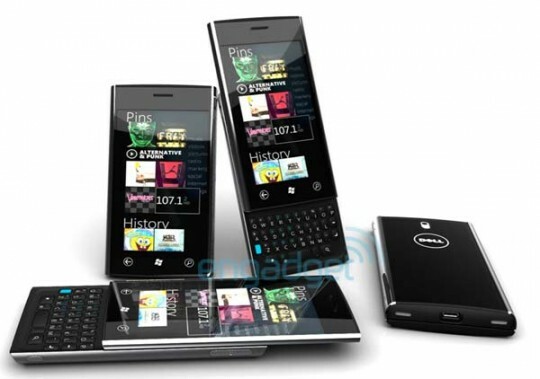 Dell has also announced the details of is all new Windows Phone, named Dell Lightning.The all new Dell Lightning handset comes runs on Windows latest operating system, the Windows Phone 7.The Dell Lightning handset is designed as portrait slider QWERTY phone. The Dell Lightning handset equips a 4.1-inch touchscreen OLED display with WVGA resolution and support multitouch features.The Dell Lightning handset comes powered a 1GHz QSD8250 Snapdragon processor and supports for Adobe Flash and Silverlight.The handset includes a 5MP autofocus camera for taking beautiful pictures and has a 512MB DDR SDRAM. The new Dell Windows Phone is designed for GSM/GPRS/EDGE 850/900/1800/1900 MHz and UMTS/HSDPA/HSUPA 850/1900/2100 MHz or 900/2100 MHz network depending on region.Other features included with the new Dell Lightning handset includes 1GB of internal memory, a microSD card slot, Wi-Fi 802.11b/g/n, Bluetooth 2.1 + EDR, FM tuner, accelerometer, G-sensor, proximity sensor, full Flash support, GPS, microUSB port, e-compass. The new Dell Lightning handset is provided with a 1400 mAh battery and has a dimension of 121.6×64.4×14.9 mm. Tags:-Dell, Dell Lightning, Dell Lightning mobile phone details, Windows Phone 7 handset, handset runs on Windows Phone 7, Windows Phone 7 handset from dell, Dell Lightning mobile phone features, Dell Lightning mobile phone specifications, Dell Lightning mobile phone availability, Dell Lightning mobile phone specs, Dell Lightning mobile phone specifications, Dell Lightning handset,, Phone, Windows Phone 7.